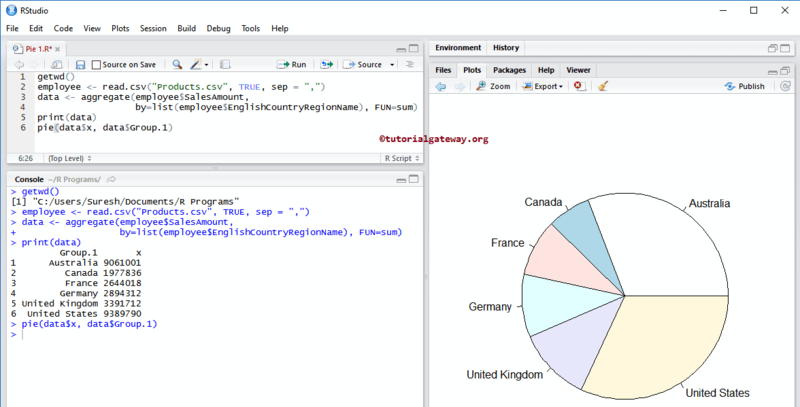 The Pie Chart in R is very useful to display the region wise sales, Country wide customers, Sales by Country etc. 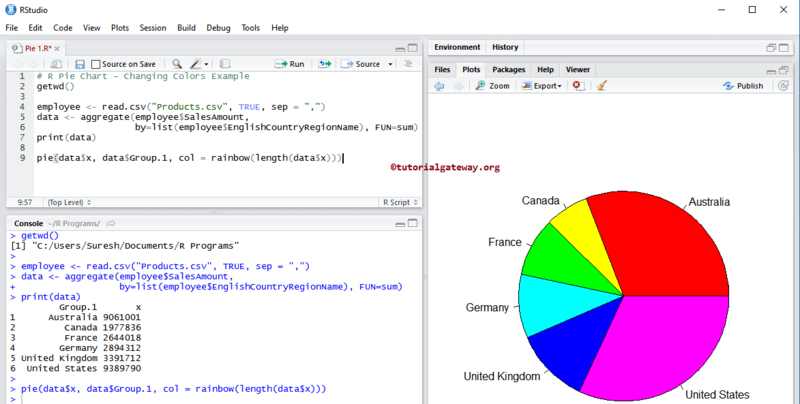 In this article we will show you, How to Create a Pie Chart, Format its color, borders, adding legions, and creating 3D Pie Chart in R Programming language with example. labels: This argument will help us to pass names to each slice. edges: Th numeric value accepted by this argument will change the outer circle of the pie. We strictly recommend to keep the value to default 200.
init.angle: This argument can help you to specify the starting angle (in degrees) for slices. By default it is 0. If the clockwise is TRUE then init.angle will become 90 degrees. col: Please specify the vector of colors you want to use for your pie chart. By default, it will use set of 6 pascal colors. border, lty: This argument (possibly vector) passed to polygon, which draws each slice of a pie. Main: You can provide the Title for your Pie chart. Next we used the pie to draw the pie chart. From the below code snippet you can observe that, Slice size will be decided on values. 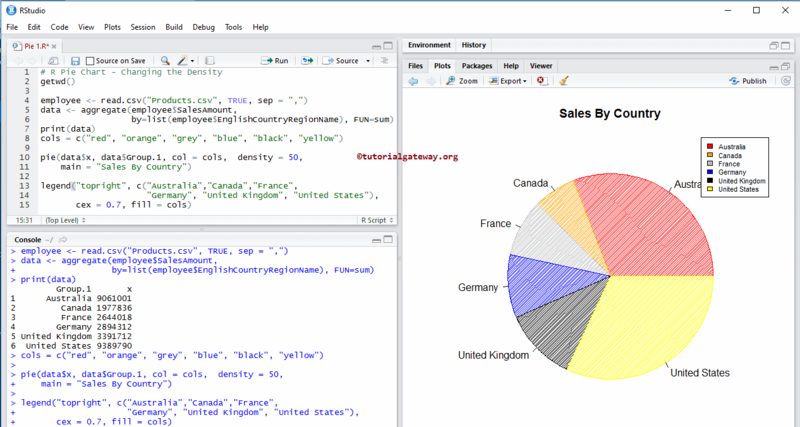 In this example we will show you, How to change the Pie chart border color and changing the line style using border and lty arguments. 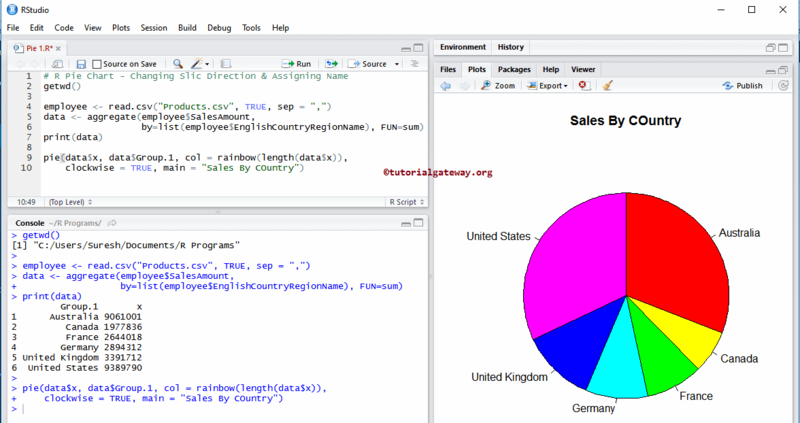 From the below code snippet you can observe that, we used the Aggregate function to find the total amount of sales in each country, or we can say Sum of Sales Amount Group By Countries. 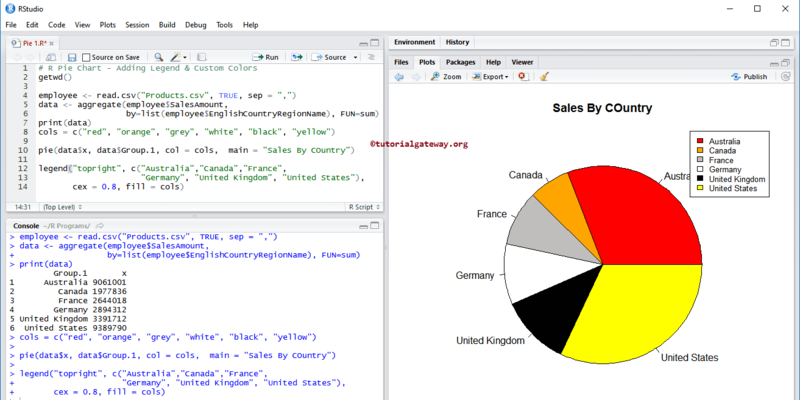 In this example we will show you, How to change the R Pie chart Slice direction using clockwise argument, and assign title/name to the pie chart using main argument.